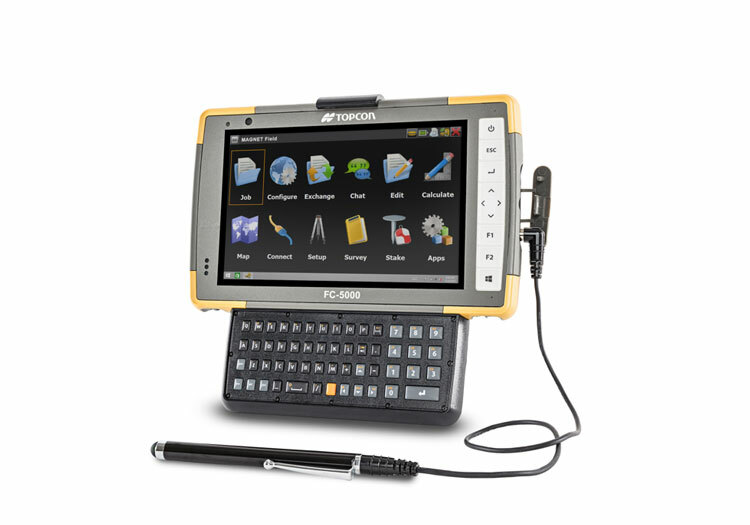 Livermore, Calif. — Topcon Positioning Group announced new accessories for the FC-5000 field computer — a landscape-style keyboard along with a stylus. The accessories are designed to improve performance in the field in harsh weather conditions. Additionally, the electrically grounded stylus is designed to only look for positive responses, improving the performance of the touch screen in snowy, rainy, wet or cold conditions. “The new stylus with the electrical grounding improves reaction time on the display in cold or wet weather environments,” said Kerwin. The accessories can be used together or separately as a complement to the field computer.